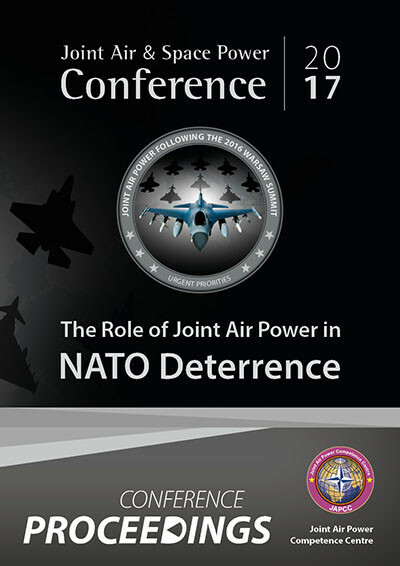 Panel 3’s senior military participants, which included senior Army, Navy, and Air Force officers, provided complementary viewpoints regarding NATO’s current capability and capacity to deter. The broad themes of capability, credibility and communication were raised frequently throughout the discussion. In discussion of the criticality of strong political resolve, the view was offered that the last two decades have seen a lessening of trust between senior military leadership and politicians. It was argued that too often in Iraq and Afghanistan, military leaders were reluctant to tell ‘truth to power’ and that re-establishing some of that lost trust should be an urgent priority. There was widespread agreement that every opportunity must be taken to educate politicians by enabling them to witness, first hand, military operations and exercises taking place. In looking to re-establish an effective deterrent posture, there are inherent advantages to forward-basing forces in threat regions. However, too often NATO’s lack of credible presence in areas such as Syria or the Black Sea creates vacuums which our potential adversaries are all too keen to exploit and fill. In reinforcing the arguments made in JAPCC’s 2015 Conference on Strategic Communications, the need for NATO to articulate its purpose and its threats in clearly comprehensible language was again stressed. It was argued that there are still cases where individual nations are investing resources towards capability improvements but these efforts are too often undertaken in isolation. ISR and Air C2 were listed as examples where more must be done to create an effective joint/coalition enterprise. Early warnings and indicators are critical elements of deterrence by permitting timely responses and by enabling effective air operations. However, the data deluge available from ISR will only increase in future and NATO must improve its analysis capability to sort, understand and utilize data rapidly in order to move from a reactive posture to a proactive posture. NATO must seek to exploit new technologies to connect its numerous C2 systems such that its sensor-to-effect speed remains ahead of that of any potential adversary. The arrival of 5th generation aircraft will be a game changer – but only if NATO considers their effects as part of a network of systems. NATO is still too platform-centric in its discussion of delivering military effect. The key to credible deterrence and collective defence will be considering the future from a data/network lens rather than a ‘how many planes are on the line today?’ perspective. The issue of the relationship between the military and industry was again highlighted as a focus area and a shift in practice away from long-term procurement to more innovative, adaptable, plug and play, interoperable, open solutions was highlighted by many speakers. The mobile phone industry was quoted as an example that defence could potentially learn from; users want state of the art, quickly upgradable hardware and software and have scant regard for the network they are reliant on for all operations. This is a philosophy that the air domain should perhaps consider, albeit that the military typically demand networks that possess the challenging competing requirements of both agility and security.